Honduras has a long history of brewing beers. 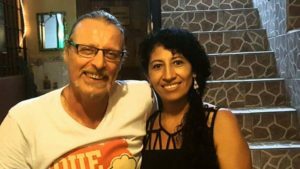 The First of all beer microbreweries in Honduras set up in La Ceiba over 100 years! 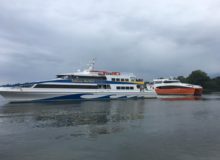 It all began in the city of La Ceiba, on the North Coast of Honduras. This was in the heyday of Banana Republic of Honduras. La Ceiba was the headquarters of the Vacaro Brothers Company, one of the original Banana Companies in Honduras. 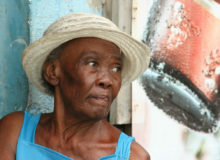 The growing demand of bananas in the US market meant that the City of La Ceiba was growing. 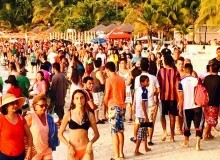 There were more and more people living in the north coast of Honduras. This meant that there was a demand for more and more products. Thus the Compania Industrial Ceibena was born. Who would have thought that 100 years later this company would be the largest industrial processing plant in Honduras? Salvavida Beer, Over 100 Years of Continuous Presence in the Honduras Market! The company began producing ice, purified water and carbonated soft drinks. In 1915 it was got the authority to produce and sell beer by the Government of Honduras. Within a year, they were producing and marketing the famous Salvavida beer. This beer brand has been produced continuously in Honduras since 1916! This makes it one of the oldest beer brands in Central America. The name, is a combination of the Vacaro Brothers Company founders. The first part, Salva derives from the CEO of the company, Don Salvador Vacaro. The second part comes from the name of the general manager of the Company, Don Vicente Dantoni. The Compania Industrial Ceibena did have some competition in Tegucigalpa. They formed a partnership with their competitors and created the Cerveceria Hondurena. Soon this company became a monopoly that controlled the local market. 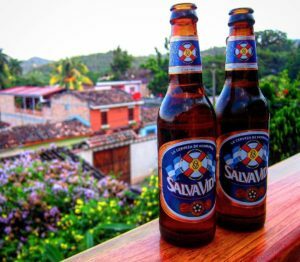 The pillars of their business were the Salvavida Beer, produced in La Ceiba and then in San Pedro Sula, and Imperial, produced in Tegucigalpa. The Cerveceria Hondurena produced different beer brands over the years. But they were never as successful as the Salvavida and Imperial brands. In 1983, Cerveceria Hondurena launched a new brand that was to become popular: Port Royal. The Cerveceria Hondurena, the Largest Industrial Company in Honduras! I must note that Cerveceria Hondurena became the licensed bottler of Coca Cola for Honduras in 1928. As such, the brewery had a secure monopoly not only in the beer market, but also the carbonated soft drink market. People say that Cerveceria Hondurena was fierce about crushing any possible competition. When I arrived in Honduras back in 1992, I discovered a small bottling company in Santa Rosa de Copan. They would produce a local carbonated soft drink under the Copan Dry brand name. I asked why I could only find it in Santa Rosa de Copan. Everybody told me that the Cerveceria Hondurena would buy their entire product outside of Santa Rosa and crush their glass bottles. This way they could not refill them. Thus, they were always short of glass bottles for their product. I do not know if this was true or not, but it does sound like good old fierce capitalism to me. The South African Brewery (SAM Miller) bought The Cerveceria Hondurena 2001. This relaxed the monopolistic view of the company. SAB Miller was itself bought by AB InBev a few years ago. As such, this is part of the largest beer brewing company in the world! 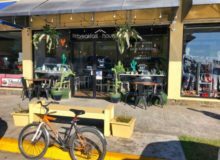 This new global view has opened the doors for other small microbreweries to open in Honduras. In the 1990’s an American set up a small micro brewery near Lake Yojoa. The business was set up as D&D Brewery. Robert Dale, the founder once told me that he had many restrictions and prohibitions to sell his product outside his physical business. The pressure, he assured me, came from the Cerveceria Hondurena who was fierce at defending their monopoly. D&D Brewery did manage to prosper, and has become a destination in itself within the Lake Yojoa area. D&D is now owned by Bobby Durett, a US Citizen who has taken it to a complete different standard. To my knowledge, there are now four different microbreweries operating in Honduras, the first is D&D Brewery in Lake Yojoa. The second is Sol de Copan, in Copan Ruinas. A third one is Durnoff in La Ceiba. Finally the fourth is in Tegucigalpa, under the name of Honduras Brewing Company. D&D Brewery is a destination in itself. Travelers visit it not only to taste their beer, but also to experience a variety of nature activities available in the area. You can visit the Los Naranjos Archaeological Park, as well variety of nature trails. Tours include hiking to a waterfall and exploring one of the few volcanoes in Honduras. Lake Yojoa has positioned itself as one of the birding hot spots in Central America. D&D Brewery is also a lodge and has a variety of rooms. They go from private cabins and rooms to dorm style facilities with shared bathrooms. But back to the beer… D&D always has three or four different beers to offer. They are all poured by draft. They also have a variety of original carbonated non alcoholic soft drinks. The flavors include blueberries grown in the mountains around the lake and vanilla, when in season. Nothing like enjoying a good pint of beer and meeting travelers from around the world at the same time! Sol de Copan is a small microbrewery that established itself in Copan Ruinas. They are two blocks from Central Park and only take cash. The brewmaster and owner is a German by the name of Thomas, with plenty of experience brewing beer. Thomas and his Honduran wife both look after the business. Many believe that this is the best beer brewed in Honduras, and even Central America. If you are tired of drinking the local beer and traveling through Copan Ruinas, you should make it a point to visit Sol de Copan. Who knows, you may even decide to stay in Copan a couple more days and enjoy their great beer! They usually have a pilsner and a lager to choose from. But ask for the daily special. 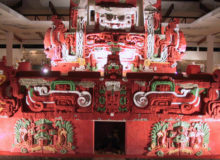 You may be lucky and get a chance to taste a “Mayan Beer” made with cacao! Besides having a great atmosphere and outstanding beer, Sol de Copan is also a restaurant. They feature German specialties as well as baleadas and vegetarian food. Last time I went they did not take credit cards, so make sure you stop at the ATM machines in Copan Ruinas before you go! It is a great place to spend some time and make new friends. They are open 2 to 10 from Tuesday to Saturday. Wing 5 offers great burgers. One of the local bars and restaurants in La Ceiba, Wings 5 brews its own beer. They bottle it under the name of Durnoff. Although it is not bottled in the restaurant premises, you can only buy it there. The restaurant is in the Premier Plaza area, close to the cinema theaters. Access is direct from the parking lot. 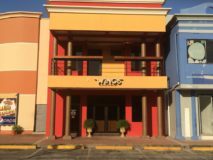 As recently as June last year, a new business opened its doors in Tegucigalpa. 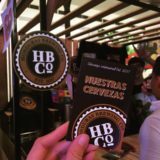 They are the Honduras Brewing Company. They set up shop in the Distrito Hotelero San Martin. This is within the small park that is next to the Hotel Honduras Maya. It is also next to the Plaza San Martin, Plaza del General, Plaza del Libertador and the Plaza Juan Carlos Convention Center. There are several nice restaurants within this area. 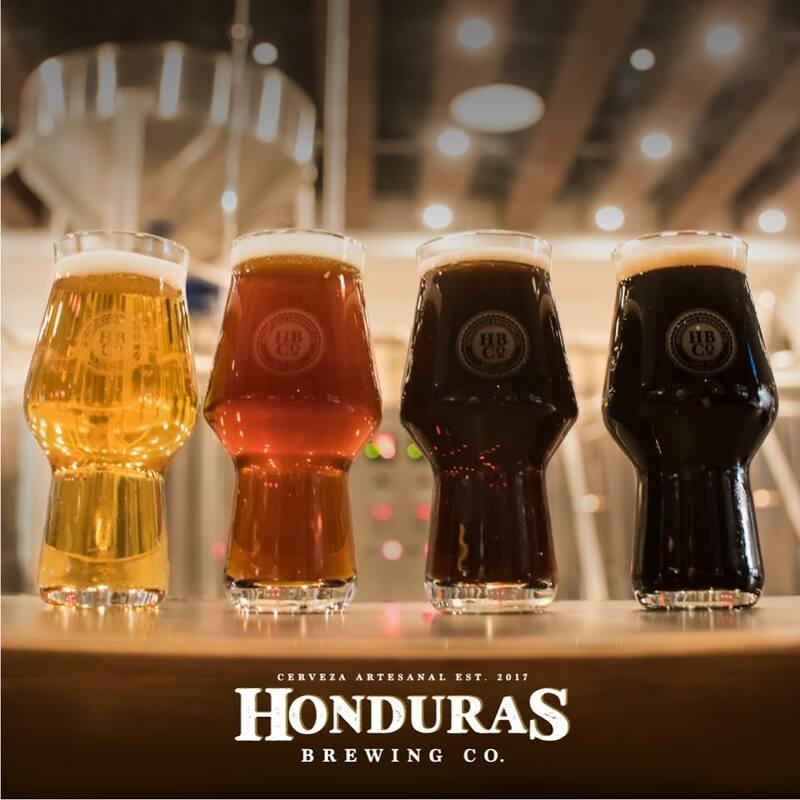 The perfect place to start with a beer is at the Honduras Brewing Company. 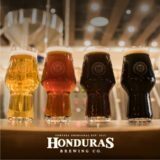 The Honduras Brewing Company creates 4 different beers that are each unique. 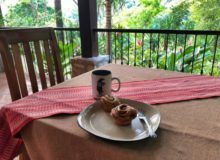 They represent part of Honduran History, and seek to transport you back in time to specific moments that helped develop Honduras as a country. This is by far the best and most authentic beer bar in Tegucigalpa. If you love beer, check them out! Chances are they are close to your hotel! The newest microbrewery in Honduras can be found in Roatan Island. They are kind of hidden, in a lovely little corner of the island, next to Palmetto Bay Resort. 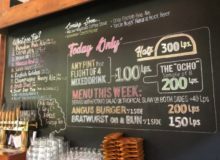 Although they are only open to the public on Sundays, you can get a taste of their great beer at some of the more popular bars on the island. The company name is Roatan Island Brewery Co. Their tap beer can be tasted at Sundowners in West End and Paradise Beach Club in West Bay. Another great place to taste their beer is at the best sports bar in Honduras: Herbys Bar. You can find this great bar at the Pineapple Villas Clarion hotel. You left out Tegucigalpa Brewing Company, Cerveceria Casa del Bosque, and Cervecería 0826. Thank you Emerson for correcting me! I will be in Tegus at the end of the Month and make sure I visit all three of them to update the information! Have a great day! About the beers. We are offering about 16 different options, but only 2 by day. People can check it out on Facebook Sol de Copan we’re we mostly announce which beer is on tap. I love to offer special for my local friends a kind of travel in the world of beer. 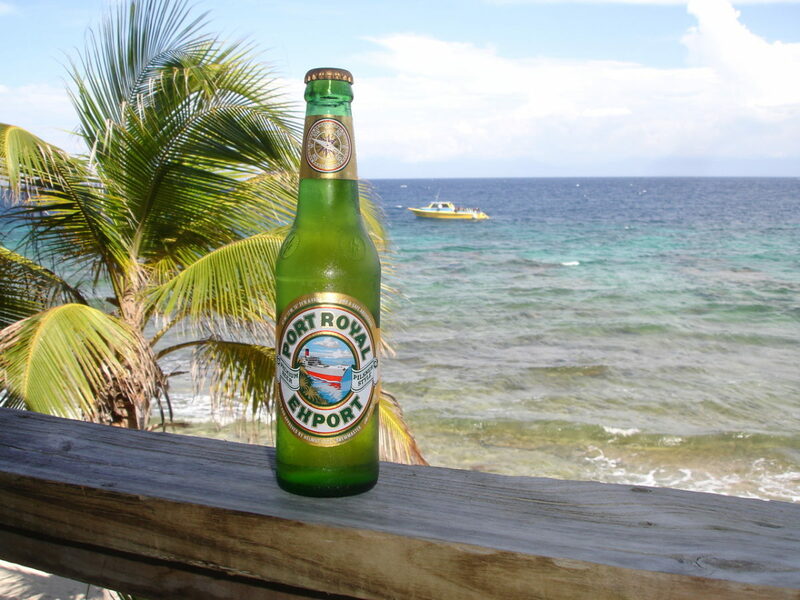 Im planning to visit this year, also I hear rumors of new brewery in Roatan by the entrance of Plantation bay. Thank you Dario! I will check the link and follow up on this. That would be a great addition to Catacamas! I will keep an eye open about the Roatan micro brewery!